Bhoomi’s new poster is even more intriguing and full of strong expressions of anguish, pain and revenge. Makers of Bhoomi unveiled a new intriguing poster of the film. The new poster featuring Sanjay Dutt has been shared on his social network. 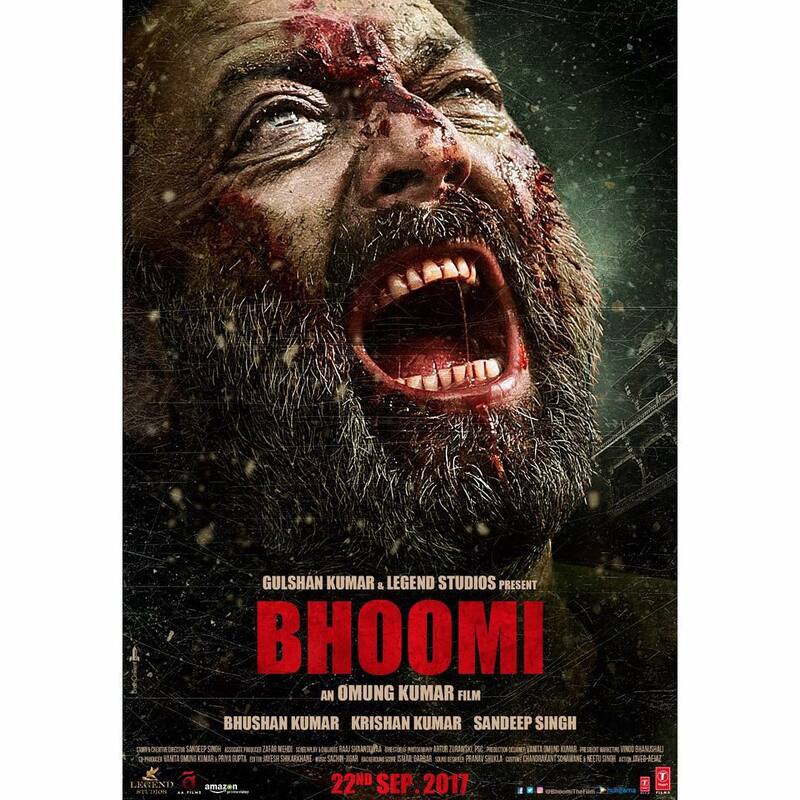 Bhoomi‘s new poster shows a blood-clad Sanjay’s close-up shot while he is seen screaming in agony. Bhoomi will mark the return of Dutt to the silver screens after he was released from the jail. The film also stars Aditi Rao Hydari and is directed by Omung Kumar. The trailer of the film has left the audience curious and wanting for more. Bhoomi is ready to be released in theatres on September 22, 2017.